There is no more popular vegetable (fruit) than the tomato. The seed is easy to save and well worth the effort!! There are steps to follow when saving tomato seed. Tomatoes are self pollinating therefore you need to recognize the flower types for successful seed saving. There are two (2) types of flowers for tomatoes. It is important to know the distinction between the two. Inserted stigma: the female part of the flower is encased inside the anther cone in the center of the flower. You will notice in this picture a small hole in the tapered tube (corolla tube) in the center of the flower. The stigma (the female receptive part of the flower) is inside that small hole. The stigma is protected in the corolla tube which makes it unlikely that the flower will be cross pollinated. Most tomato varieties have this blossom structure. If isolation distances cannot be met. 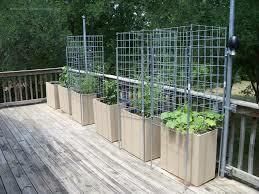 (25 feet is the required isolation distance between tomato varieties) caging the plant will be required. Normally, 2 plants are sufficient to save adequate amounts of seed. However, you may only have space for a few of each variety you choose to save. Online or horticultural supplies and high end garden centers should have fine netting or row cover fabric to fit a caging frame. Exposed stigma: the female part (stigma) of the flower is outside the anther cone in the center of the flower. In this picture you will see the stigma is clearly protruding out of the corolla tube. 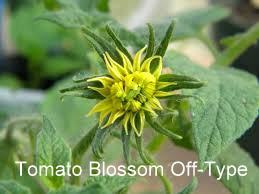 This type of flower is very susceptible to cross pollination from other tomato varieties. 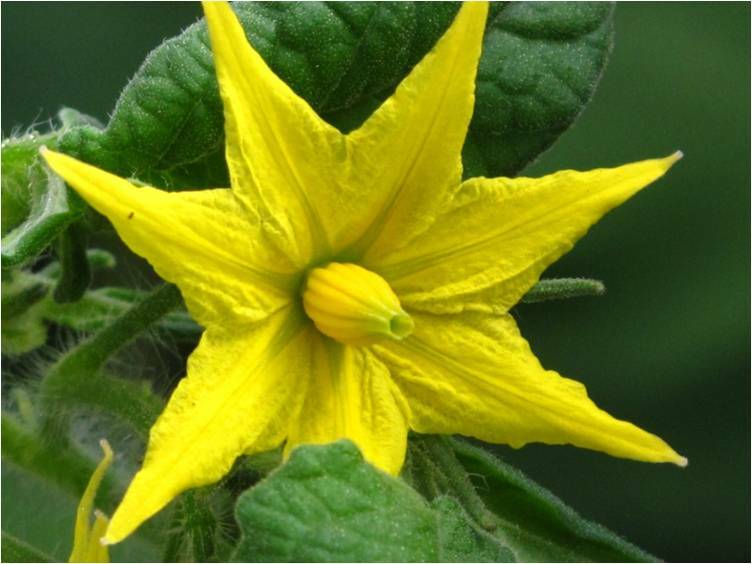 Potato leaf and black/purple varieties of tomatoes have this blossom structure. Caging is the preferred method if the garden is small and isolation distances cannot be met. The use of floating row cover fabric (similar to dryer sheet material) will absolutely insure there will be no cross pollination from other tomato varieties. The floating row cover fabric will allow for air and moisture to pass freely to the caged plants. 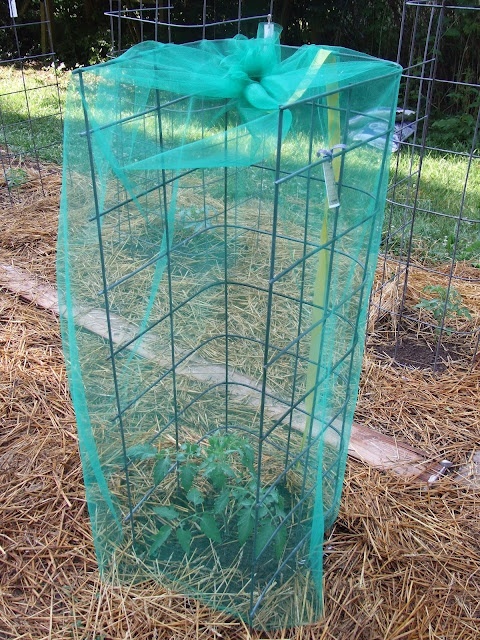 ( 50 feet is the required isolation distance between tomato varieties) Two (2) plants are the requirement for saving seed from your caged tomato plants. Floating Row Cover fabric may be purchased online from horticultural suppliers or high end garden centers. To insure the quality of seed, never save seed from the first cluster of tomatoes as they are off-type and not a true representation of the tomato you desire for seed saving. 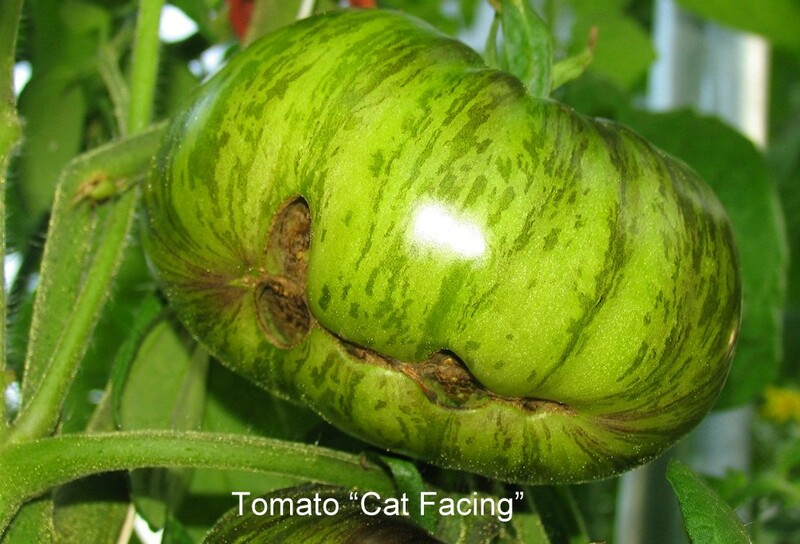 Usually you will notice your first tomatoes are much larger, misshaped, cat-faced (puckered seam on the blossom end), more prone to rotting and disease, the shoulders of the fruit tend to be hard, green and prone to cracking and slower to mature. You should reject this fruiting because they are not representative of the variety. Only save seed from the second through the fifth cluster. 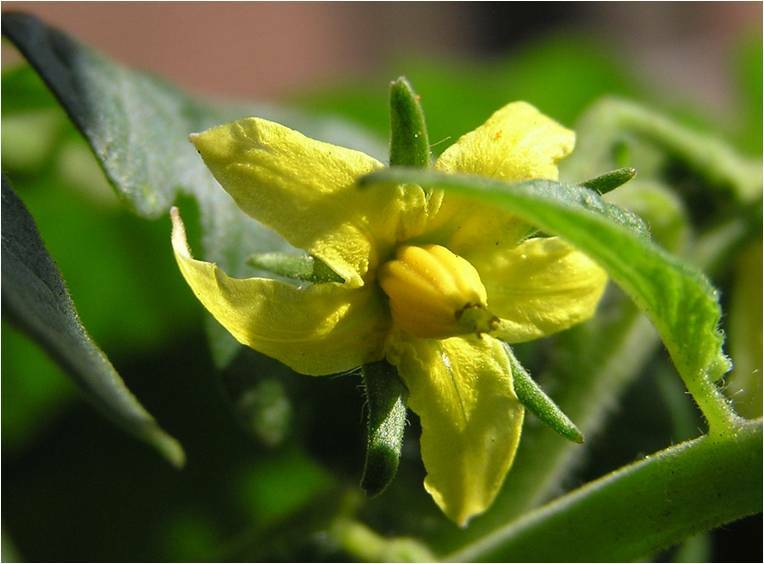 As the tomato plant continues to produce blossom clusters after the fifth cluster, you will notice the fruiting is producing a pointed blossom end (with the exception of Roma-type and Oxheart tomatoes). Again, you do not want to collect seeds from this tomato shape as it is off-type. Part 6 will cover tomato harvesting, seed fermenting and seed storage.